Boston Global Forum (BGF), based in Boston, Massachusetts, was founded to bring together thought leaders and experts from around the globe to participate in open public forums to discuss and illuminate the most critical issues affecting the world at large. BGF’s principal mission is to provide an interactive and collaborative world forum for identifying and developing action-based solutions to our most profound problems. BGF’s method is to host gatherings of thought leaders and experts to identify and dissect the most pressing societal concerns, and then to propose creative and practical solutions. BGF invites nominations and applications from individuals and organizations worldwide who believe they could make thoughtful contributions to the discussions. Discussions will focus primarily on one topic a year and take place in person at venues on or near the Harvard University campus and by way of the BGF online forum. Click here to listen to a message from our respected chairman, Governor Michael Dukakis. BGF has operated for the betterment of society as the global level in the following areas: world peace, international cooperation, and human rights. BGF welcomes lawful contributions from individuals and philanthropic foundations. 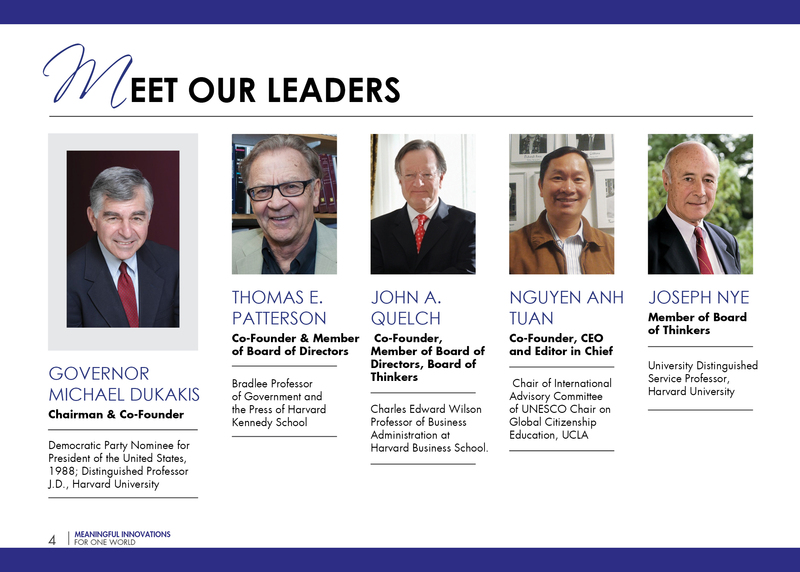 The Boston Global Forum is directed by a Board of Directors consisting of members with renowned international experience. 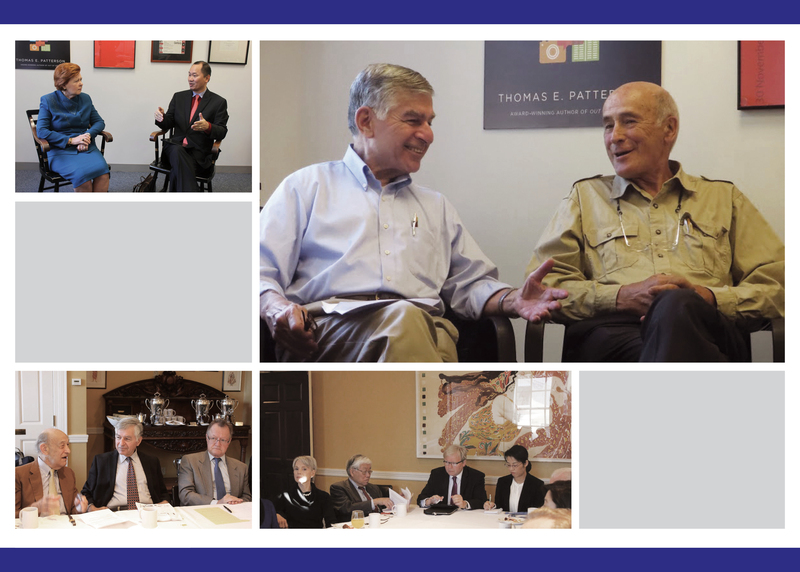 The Board of Thinkers is an advisory board composed of thought leaders who will help determine the topic of the year for discussion, review input from Members, Contributors, and other sources, and propose solutions. Members of the Boston Global Forum are leading experts in their fields or disciplines and nominated by the Board of Thinkers, and will contribute their ideas and participate in BGF solution-finding activities. The Editorial Board is composed of leading media and pubic relations professionals who participate in the selection of the annual topic, identify and invite outstanding participants for BGF conferences, and manage the BGF’s communications strategy, public outreach and media relations efforts. The Executive Board provides strategic and tactical assistance in supporting the operations of the BGF. In addition, Contributors are experts or leaders in their fields or disciplines, invited to contribute to the discussion of the topic and submit ideas for consideration.